Some familiar faces and some that I haven't had the pleasure of meeting yet...can't wait to meet them all! a fond farewell to the 2012-13 team. 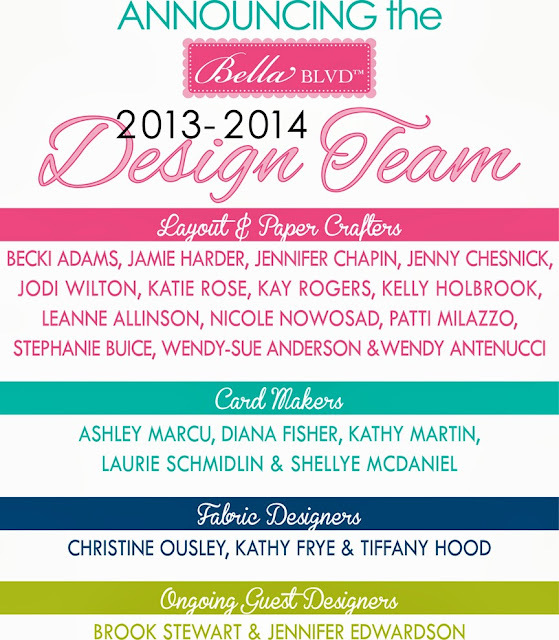 Congrats - I am so excited that you will still be representing Bella Blvd with all your awesome cardmaking skills!! !